I am a book lover so obviously anytime there is an opportunity to review a book I jump at the chance. 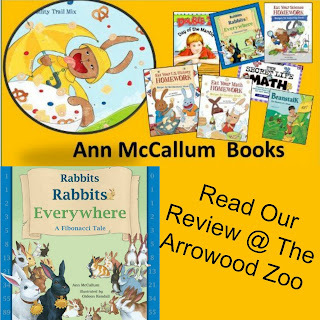 The Schoolhouse Review Crew was given the choice of several books from Ann McCallum, she is a wonderful author of children books. 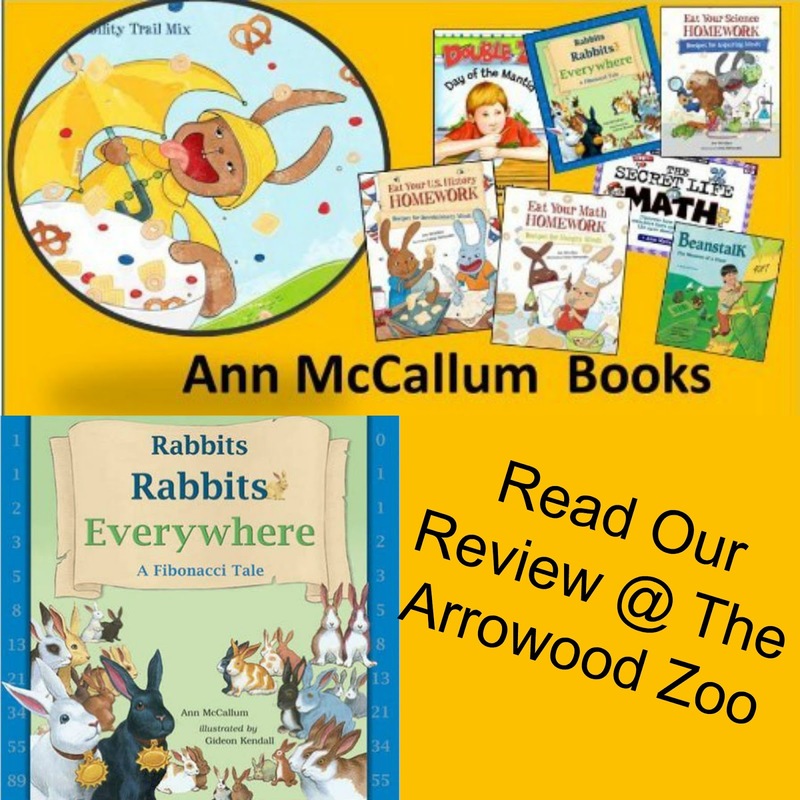 My family read and enjoyed Rabbits Rabbits Everywhere: A Fibonacci Tale. The book retails for $7.99. Alright lets just get it out of the way - I honestly had to search out what Fibonacci even was!? Yes really, sorry just keeping it honest. Had I read the book first I probably would have figured it out but I was curious before reading it so that I could explain it to my children. Long story short Fibonacci is Leonardo Bonacci which is considered the most brilliant mathematician in the world. Sooooo you guessed it, this book is an educational math tale! The book is a softcover lasting a fun 32 pages. The tale is about a friendly wizard that the town has decided to test! Like any good ole person that is being tested you play a little with the people testing ya! That is just what the wizard done! A small girl eventually figures out what is going on and is able to break the enchantment only after she has been introduced and learned the Fiboncci sequence with bunnies! The pictures are adorable all throughout the entire book. The story is fun and very engaging while throwing educational learning into it! My children enjoyed this book. They have read it more than one time! If you have a budding mathematician in your family I would highly recommend this book for there enjoyment!